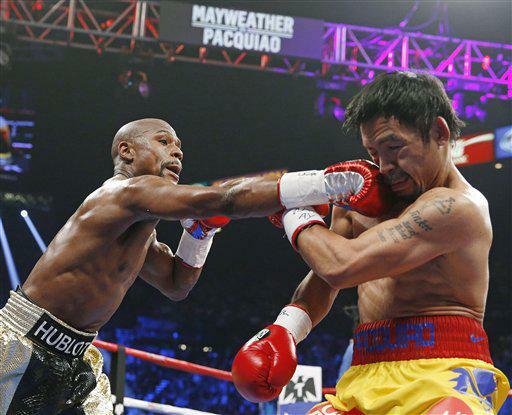 Floyd Mayweather has said he will come out of retirement to fight Manny Pacquiao in a rematch later this year. The pair first met in Las Vegas in May 2015, with Mayweather winning via unanimous decision. Mayweather posted a video on social media with the caption: “I’m coming back to fight Manny Pacquiao this year. Another 9 figure pay day on the way.” The 41-year-old has not fought since his bout with UFC star Conor McGregor in August 2017. He announced his retirement after the 10th-round stoppage-win over McGregor, taking his record to 50-0. The first meeting between the American and 39-year-old Filipino Pacquiao was the most lucrative contest in boxing history, billed as ‘The Fight of the Century’. Britain’s Amir Khan has also been talking up the prospect of a fight with Pacquiao after his vicory against Samuel Vargas earlier this month.